1. Place veggie juice, beer, lime juice, hot sauce, Worcestershire sauce, and Tamari in a large pitcher, stir to combine. 2. Mix salt and chili powder together on a plate. Rub the outside rim of the glass with a lime wedge and dip in the salt/chili mixture. 3. 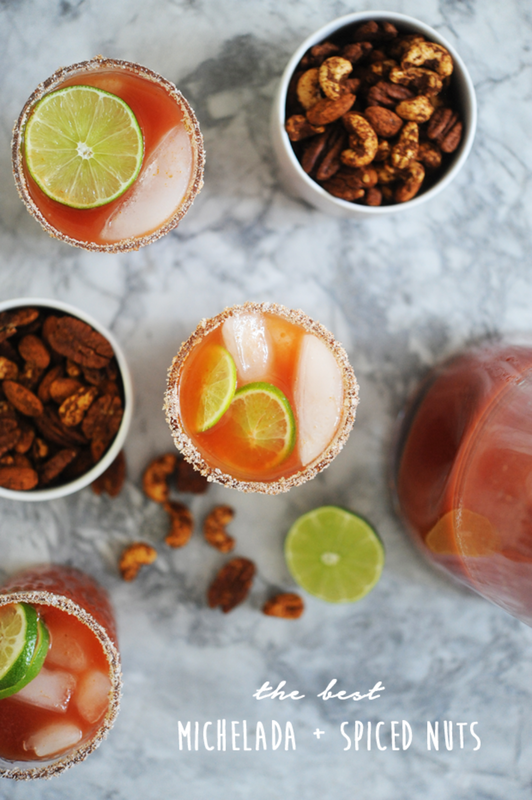 Fill glass with ice, pour in Michelada mixture, garnish with lime wedge.